The holiday season provides the perfect opportunity to give thanks and to give back to people who are facing challenges within our communities. 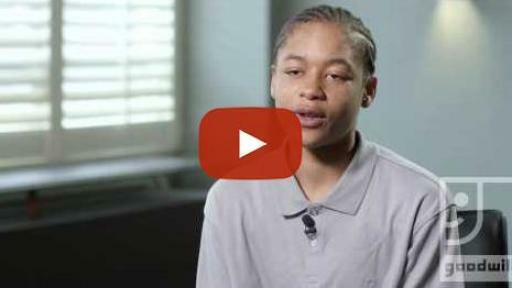 Youth, particularly those at risk for delinquency, need assistance to help them succeed in spite of the unfortunate circumstances they may have encountered. This season, Goodwill encourages you to give them the gift of employment. In the spirit of holiday giving, Goodwill is urging everyone to make a real difference by giving a financial gift or donating stuff to your local Goodwill organization. 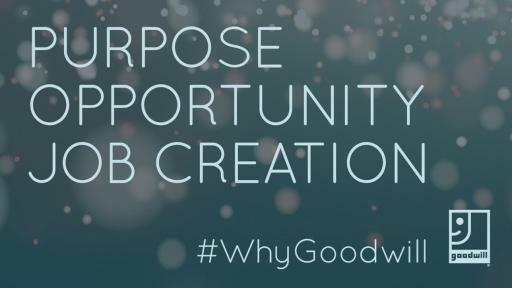 Your gifts and donations are used to help fund Goodwill’s job placement services, onsite and virtual skills training, employment training and other community-based services, such as career counseling, English-language training, financial education, and industry-recognized credentials. And those services go to help people who need a hand up, not a handout. One such person who benefitted from Goodwill services is Shawnteal Turner. Turner came from an abusive household. She spent her 13th birthday in juvenile. 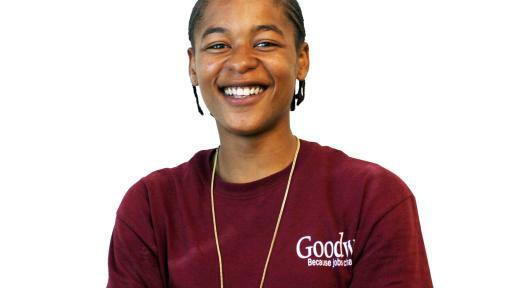 By adulthood, according to Turner, she was, “hanging out with the gang members on the street corners…not really accomplishing anything.” Then a friend encouraged her to go to a job fair at Goodwill, and that helped her turn her life around. She came to Goodwill at 21 years old without a job, a high school diploma or a sense of direction in her life. Make a difference this season. 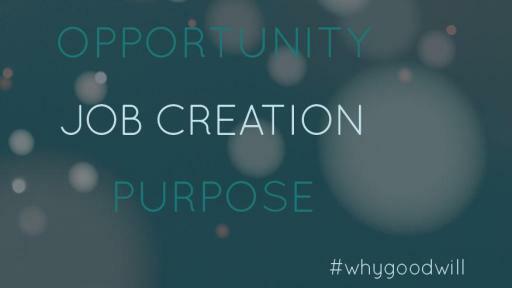 Fight for purpose, opportunity, and job creation. Turner became involved with Goodwill’s Youth Green Corps, a program that teaches 18- to 24-year-olds about environmental stewardship. Through this program, she earned her High School 21+ diploma during an internship at Goodwill, and she gained job and life skills. She learned how to set up a bank account, build a résumé and set reasonable goals for herself. 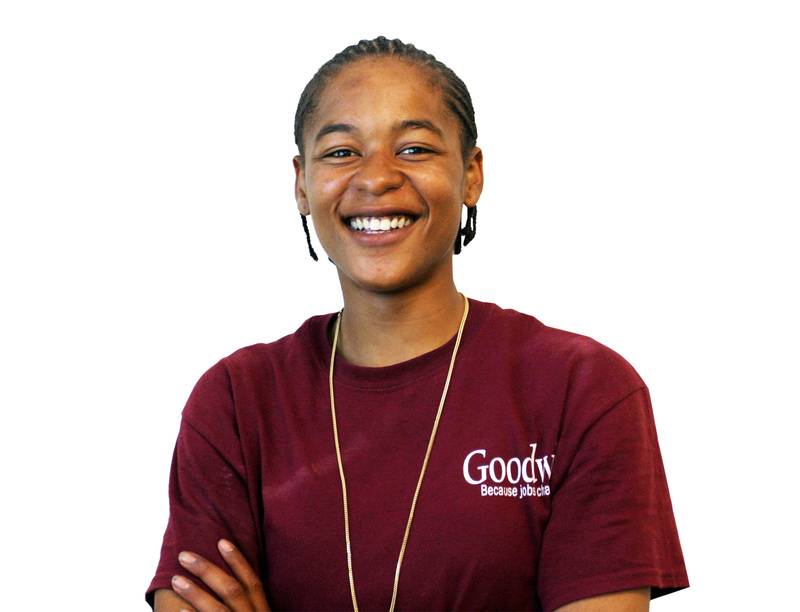 Currently, she is employed by Goodwill as a youth program assistant where she mentors youth program participants. Turner says she hopes that in five years’ time, she will still be with Goodwill, helping other people turn their lives around. In fact, she says she hopes she saves thousands of people. During this holiday season, if you’re having trouble coming up with great gift ideas, Goodwill encourages you to give the gift of employment. Monetary gifts can be given safely and securely through Goodwill’s website. There are two buttons on Goodwill Industries International’s website to donate to a local Goodwill organization, and the financial gift goes directly to helping members of that community access the services they need to succeed. Goodwill’s donation impact calculator provides detailed feedback on the effect even the smallest donations can have for people in the donor’s community. 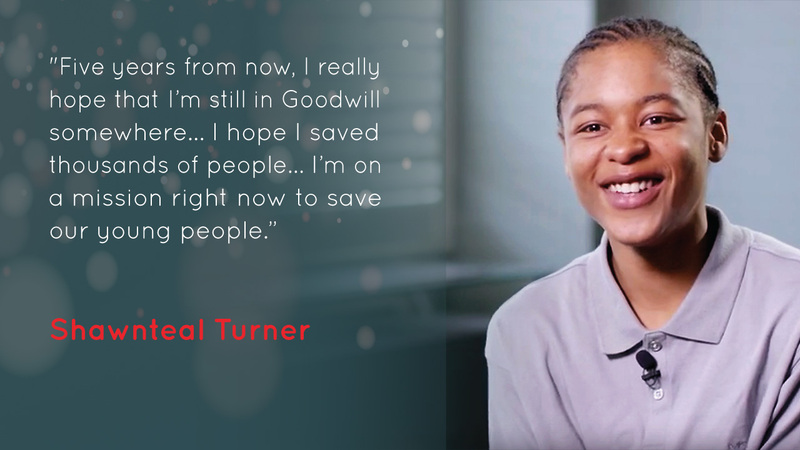 By donating to Goodwill, you help open up opportunities for others looking to find a job and build skills, including veterans and military families, single mothers, seniors, youth, and many others, including people like Shawnteal Turner. Share your Goodwill donations on Facebook and Twitter using the hashtag #WhyGoodwill.